Will become very good friends tomorrow. Brian and I are off to Mexico in the morning for 7 days and nights...my hubby surprised me with a little vacay...no kids. We are meeting up with our good friends, the Robinsons, for a week of sand, beach, pool, good food, spa packages, sleeping in, and some serious relaxation. You heard right...one last hurrah before baby #3! 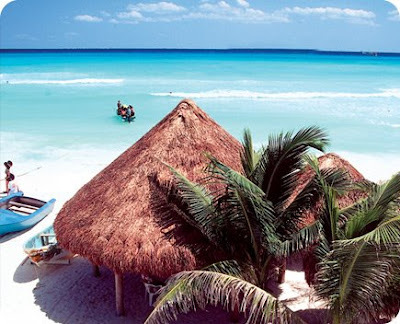 I cannot wait- Playa del Carmen, here we come! Seriously, what did I do to deserve this? :) Love ya, babe!